Search Engine Optimization(SEO) is the most important of all blogs or websites related activities. If you do not maintain all terms of SEO you will not reach your goal. There are a lot of terms of SEO and I think backlinks are the most important part. Every webmaster and SEO expert must agree with me that backlinks are the heart of off page SEO. Backlinks are hyperlinks that links to your web page or website from other sites. The more backlinks you have created for your site, the more popular your site will be. We always looking for quality backlinks because high-quality backlinks help us to get high page rank as well as a lot of traffic. When we create backlinks for our sites, we must remember about its quality because in SEO quality is more important than quantity. Quality backlinks are those backlinks which come from a high page rank website or blog, which contents are similar to your site contents, and which site has high traffic. Here in this article, I give you some excellent tips about how can you create high-quality backlinks for your site. Article Marketing is one of the best and most effective ways to get quality backlinks. Article marketing like as guest posting is an excellent way to get more quality backlinks. But you need some experience about article marketing. There are a lot of article marketing sites, where you can submit your article for marketing. You can easily build high-quality backlinks by article marketing. When you submit your article you should always remember about its quality and try to submit your site high page rank article directory. Forums always work very well for building quality backlinks. It is a great way to reach the goal of backlinks. I personally always search for forum posting because it is really easy to do. At first, you need to be an active member of forum sites and post the valuable suggestions of other webmaster questions and submit the link of your sites. Participation in the forum not only get you quality backlinks but also, it helps you to know more about other people like you. When you post forum in forum sites you should always be positive, do not break any law of these sites. I like directory submissions to create quality backlinks. It seems to be an old idea but I know how useful directory submission is to create quality backlinks. You can create quality backlinks as well as get a lot of visitors by directories submission. There are a lot of directories but you must submit your site only high PR directories, it will help you more for creating quality backlinks. Video marketing is a wonderful and effective way to get quality backlinks. People like video more than article or content. By sharing useful videos on popular video sharing sites, you not only get quality backlinks but also huge visitors. Just make videos related with your site and then share these videos on video-sharing sites such as YouTube, Dailymotion, Metacafe and more. Press releases is an old technique but really effective to get more quality backlinks. It is not an an easy task but if you can use this technique by following all the terms of press releases, you must be benefitted. There are a lot of free press releases sites, at first, you have to be a member of these sites then release your press on these sites. I hope you can follow all the terms to create quality backlinks. By doing all the terms step by step, you must get a great reward. If you have any suggestion, please comment me on below. Wow ! 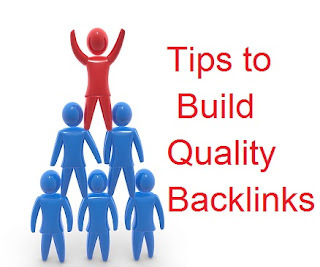 you have shared how to get high quality full back links.It's very useful to me thanks for sharing .I shared my related SEO tips if you have time please check buy quality backlinks.